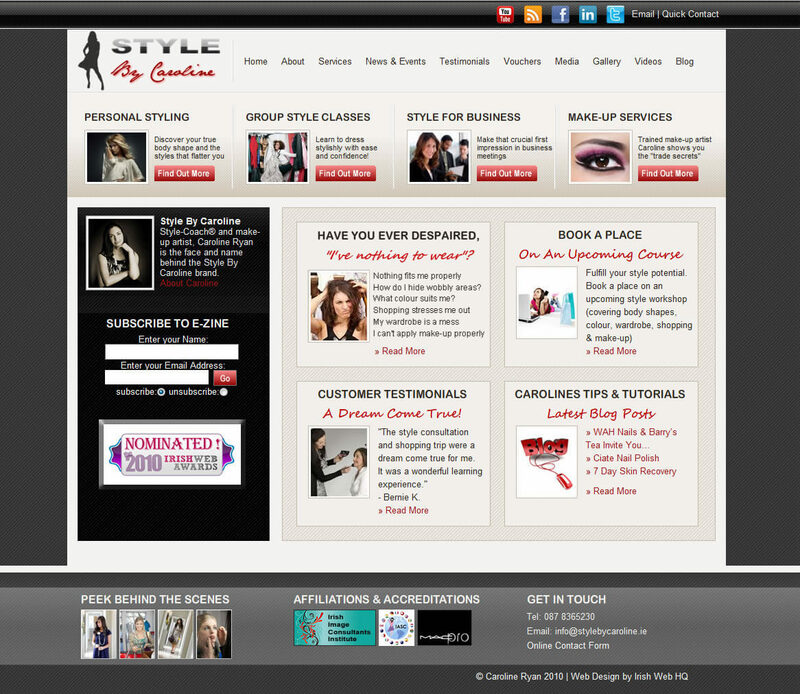 I was delighted to hear that Caroline Ryan has received 2 Irish Web Award nominations for her website Style By Caroline – www.stylebycaroline.ie, and for her use of Facebook for her business. Caroline certainly knows the web and is in tune with blogging, social media and the best use of her website for her business. Irish Web HQ are delighted to have designed this website and look forward to watching Caroline bringing home a shiny web award or two! Caroline’s website is designed to appear in the top search results and her use of her website blog has offered loads of interesting content for her visitors but also helps to keep her website search engine friendly. We have designed the website so that it notifies Google, Yahoo and Bing when a new page or blog post is created, thus alerting the search engines to index the new content from her website.